The topic of ghosts in American Indian (they prefer this title over Native Americans) culture compared to those in Western mainstream ideas is a complex one. 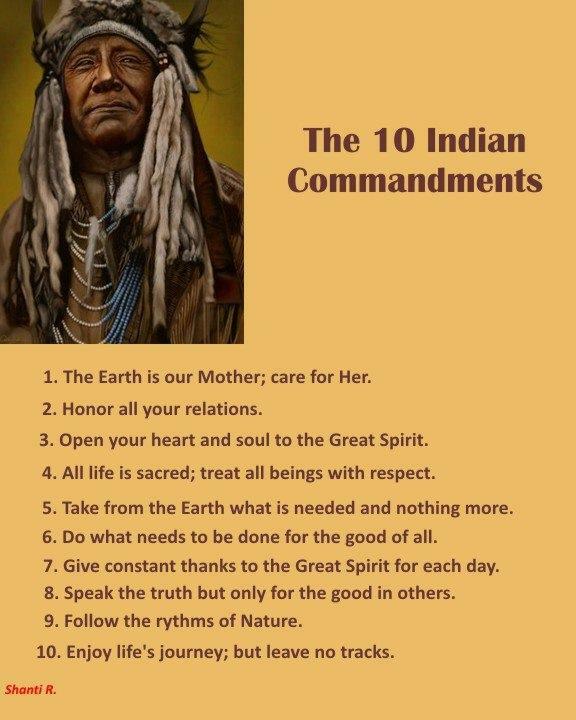 While there are many differences in the belief of spirits and ghosts between the American Indians and our mainstream culture, there are also many similarities and beliefs. 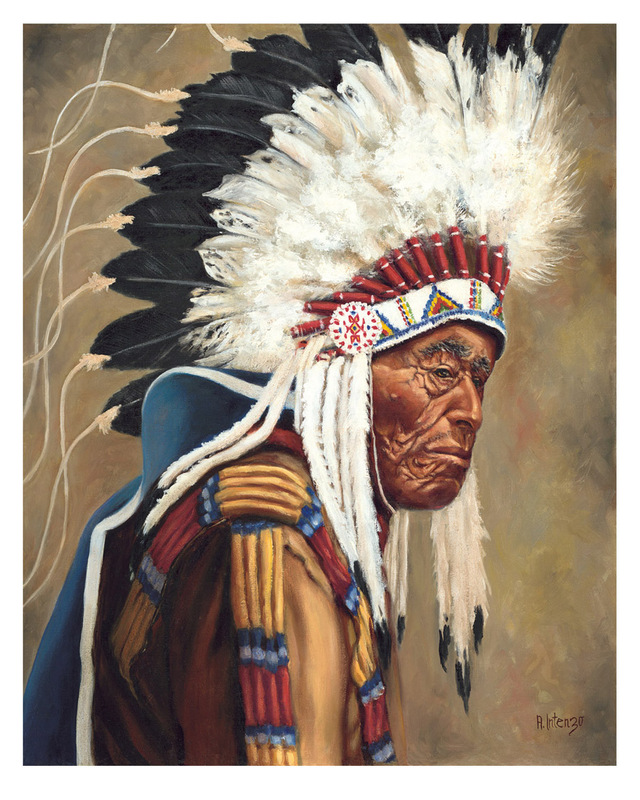 I have always been fascinated by their history and culture and have made them the subject of many of my paintings and art work. 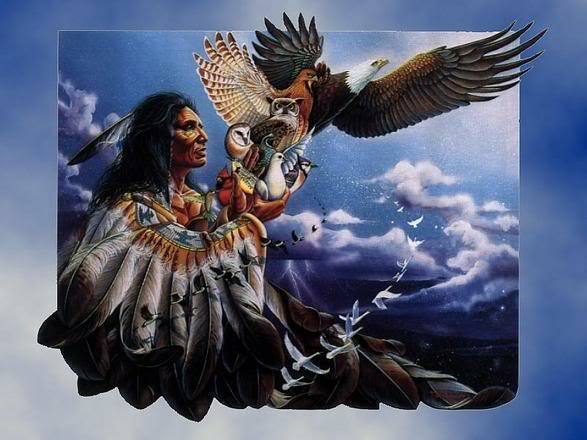 The American Indian belief system is one that concentrates on nature and man’s connection with nature and the spirit realm. While this sounds far from mainstream western religion and beliefs there are some surprising similarities, particularly when it comes to the idea of ghosts. This is not a simple idea to understand. 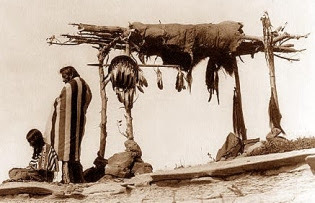 Native Americans originally totaled over 20 million people broken up into approximately 500 tribes each with their own variant on deities, spirits and the afterlife. 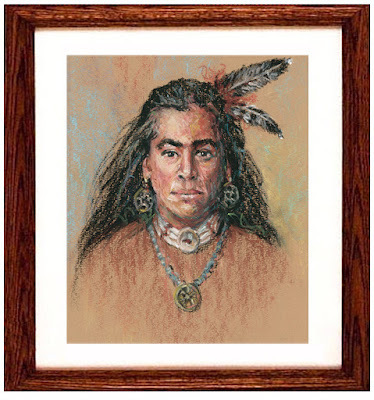 In the east, some tribes like the Delaware Indians believed in a “Great Spirit” which was a good divinity that would work through lesser, smaller spirits to control the weather and other aspects of nature. 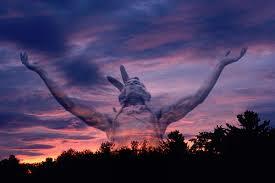 This Great Spirit occurs in different tribe beliefs in various incarnations. Some of the elements of tribal beliefs mirror those in Western Christianity. 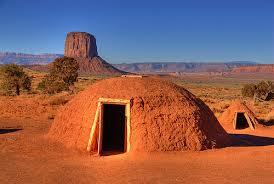 The Cherokee tribe believed that earth was a Middle World. Above lived the spirits of deceased people and animals, and below was a place of ghosts, bad spirits and monsters much like Christianity’s heaven and hell. 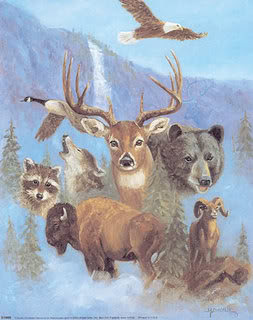 Each tribe has its own spirits which often take the form of animals, as nature was intrinsic to the Native American way of life. These spirits may take the form of bears, wolves, buffalo, eagles or horned creatures, and can bring rain that will help crops grow or create drought and destructive storms. 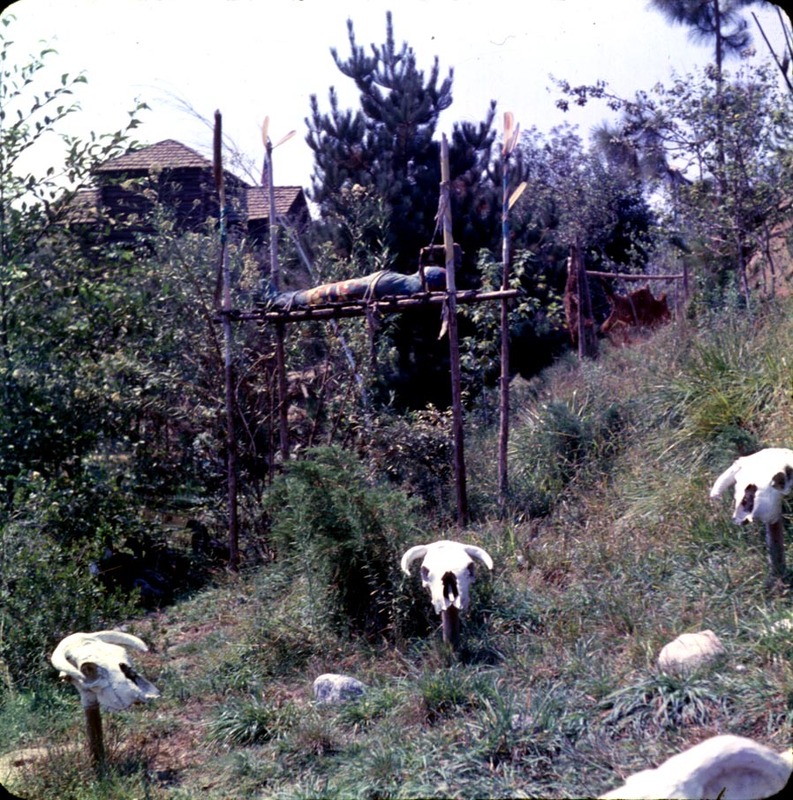 Each Native American tribe had its own version of burial rites, which depended on a number of factors such as the surrounding landscape (for example, Alaskan Native Americans would often leave their dead to freeze). While in the Christian west, the dead were buried on consecrated ground close to churches close to the living, Native American cemeteries were often placed in remote areas, away from settlements. 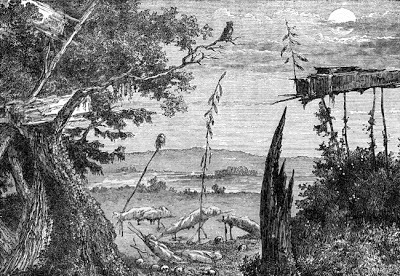 Even better was on an island, such as those along the Columbia River as it was believed that the spirits of the dead could not cross water. Ghosts are a personal idea in mainstream culture. While some people are scared of the idea of a ghost, others may be comforted by the idea of contacting someone they have lost. However, the idea of a ghost in American Indian culture is one of a negative energy rather than the spirits which reside in nature. 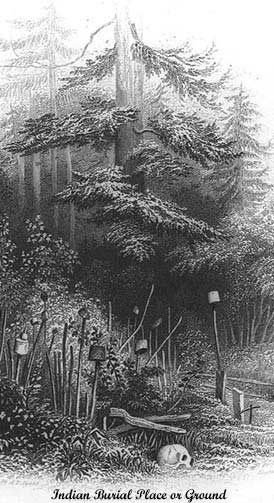 Some American Indian tribes also believed that burial rites were important enough to incur the wrath of the dead if done incorrectly. If the deceased did not receive the appropriate burial rites, they would be earth-bound and destined to continue walking the earth and haunt the living. It is also suggested that some believed the same for the dead whose graves had been desecrated. Through the Anglo-Saxon period up to the Victorian age, criminals and those who committed suicide in Britain and in places within North America were traditionally buried at crossroads without the usual burial rites. This was considered an added punishment for their crimes or for taking their own life, as they would not be prepared for judgement day. To counteract the lack of burial rites, the dead were buried at crossroads to stop their ghosts returning to earth and haunting the living. Some tribes, including the Apache, a nomadic tribe, went a little further and believed that all the dead resented the living. 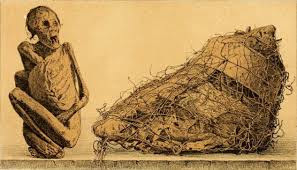 When someone in the tribe died, the corpse was quickly buried and his possessions and home burned. The family would perform a ritual to purify them and move on to stop the ghost of the deceased from finding them. In mainstream culture, it is often believed that a violent or highly emotional death will result in a haunting or ghost. This can take the form of a poltergeist, a particularly strong spirit that can physically move objects and create a disturbance. Very much like our own western belief of poltergeists (German for noisy ghost) in our own paranormal studies. The Navajo (or Dine which means "The People") also started a belief in Native American culture of “ghost sickness.” This was the name given to someone who fell ill with particular ailments. It was thought that the ghost was trying to take the living into the next realm with them. The symptoms of ghost sickness included nausea, hallucinations, feeling suffocated and fever. Similarly, tribe believed that if someone died from a sudden illness or suicide, or met their end in a violent manner, they would return as a destructive ghost or “Chindi,” haunting their remaining family.They believed that the final breath of a person releases the Chindi, which contains all of the sin of that person’s life. If the Chindi is released outdoors, it can dissipate on its own given time. 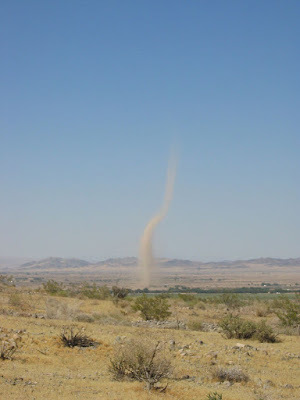 In fact, some Chindi become dust devils (known as “chiindii”), with the clockwise rotating funnels being “good” and the counterclockwise containing “evil”. If, on the other hand, the Chindi is released inside a home or lodge (Hogan), it must be abandoned or ritually cleansed to remove the spirit. As we become more tolerant with other's beliefs of the supernatural our culture evolves and so the similarities begin to grow. One only has to read the American Indians' Ten Commandments and see just how much we are all brothers and sisters under the skin.